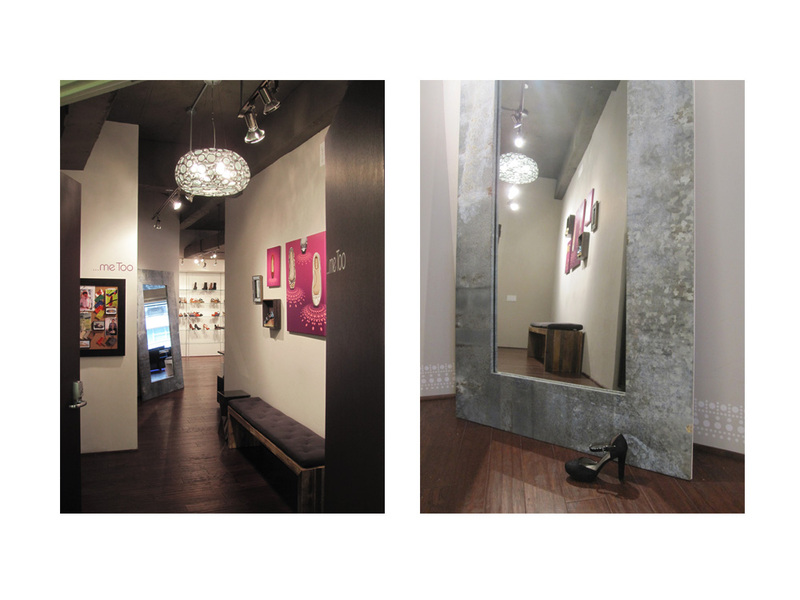 …me Too, a women’s fashion footwear brand that delivers exceptional style, quality, and comfort, was interested in growing brand recognition and perception among retailers and consumers. Alternatives conducted research and analysis and developed a marketing strategy to increase visibility and propel the brand forward. The re-branding included logo, a visual vocabulary of branding elements, usage guidelines, product packaging, advertising and sales materials that work together to maximize the …me Too image .The fashionable, friendly, conversational brand identity has accelerated the growth of the brand and business. 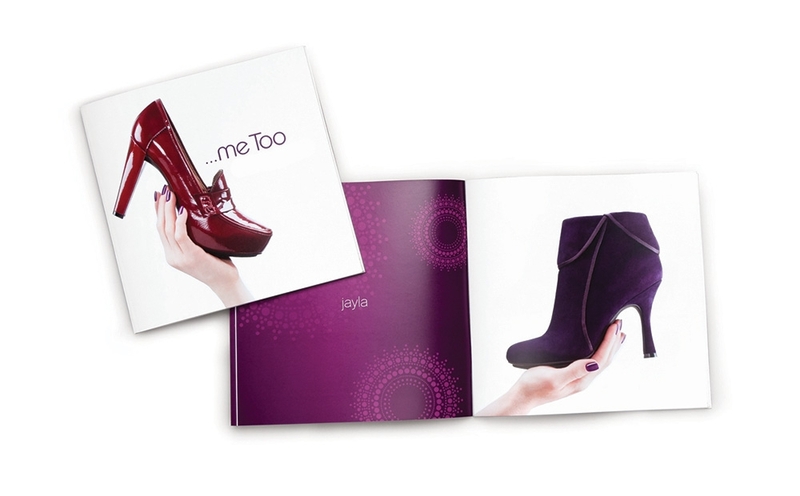 The …me Too fashion look book was designed to make a statement with editors using unique photography that allows the beauty of each shoe to shine. 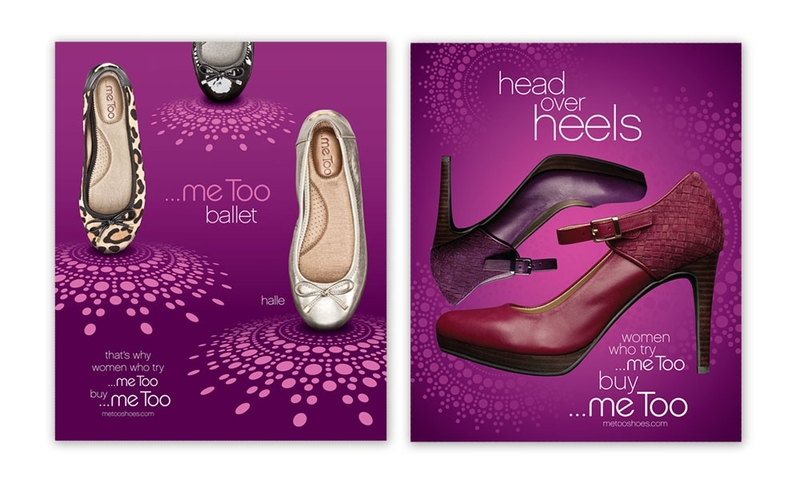 The …me Too shoes “it’s me” footwear advertising campaign delivers an upscale fashion look, pairing the personality and style of the shoe and the woman. 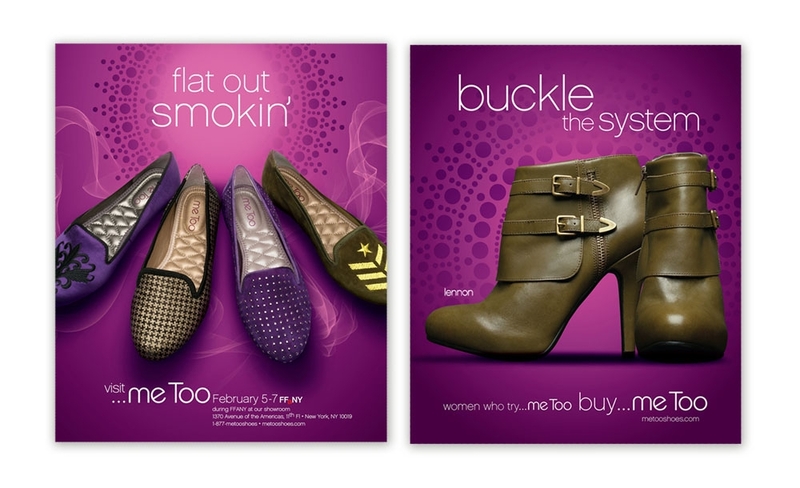 The …me Too trade advertising campaign utilizes the signature plum background and radial pattern with attention getting headlines that focus on the shoe designs.